Meet Kendall! You maaaay remember Kendall + Adam's engagement session? They are Birmingham natives who love both downtown and the mountains and had the cutest engagement sesh. 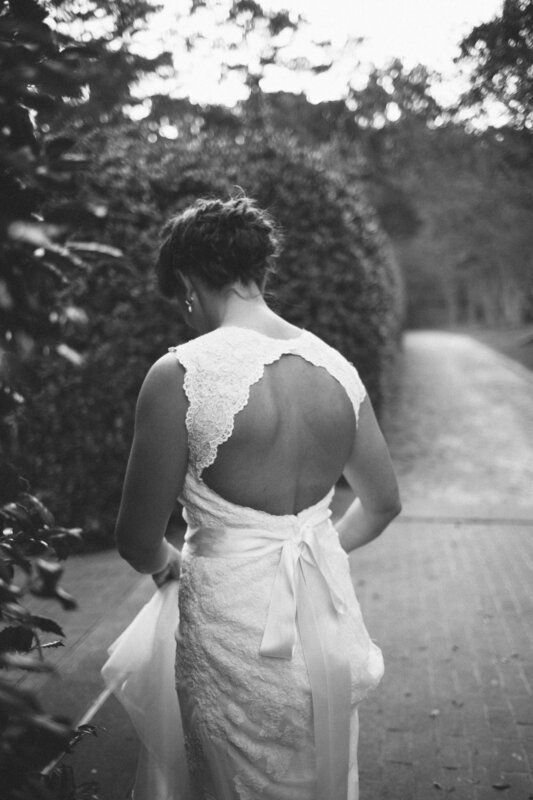 Well, now we got to take bridal portraits at the Birmingham Botanical Gardens! My favorite part was the back of Kendall's dress. It had this lovely circular back to it with this silk bow that tied around her waste. Plus, the wind was gently blowing and it kinda felt like summer was officially leaving us. Can't wait for you to see their wedding photos!